I’ve been told that some people have grand dreams of where they want to live when they’re growing up. There’s usually some story about a brilliant visit, some magical moment that sparks the thought in them that they want to live there later in life. I didn’t have any dreams of moving here before it ended up happening. And I certainly didn’t have a magic moment, although I do remember my first trip to NYC somewhat clearly. It was July 4th weekend of 1993; we were visiting the area to see a friend of my parents in Yonkers. And one of the days we were downstate, we drove into Manhattan to…well, I don’t quite remember the point, exactly. Some very light sightseeing. We parked in Midtown; we walked along Fifth Avenue, not really doing much shopping. There was a stop in a Software Etc. on 48th Street, where I remember being mortified at the price of SNES games ($100!). We ate lunch at the cafe where the skating rink is. And walking back to the car, my mother tried to give the leftovers of my giant hamburger to a homeless guy, who promptly rejected it. That was really about it. It was a tremendously short visit, and perhaps a bit self-explanatory why I didn’t get any lofty dreams of NYC at that point in my life. Last year, though, I began making a detour on the way into the office: getting off the E train a stop early, walking over to Rockefeller Center, grabbing a coffee from the Blue Bottle that had recently opened in the Concourse, and then walking the few blocks cross-town to my office. And on one of this caffeine-motivated walks, I remembered that little time I spent on Fifth Avenue about twenty years prior. And *this* is the thing, above all, I’ve grown to love the most about this city, that it is shaped and defined by memories, even those one would chalk up as innocuous. 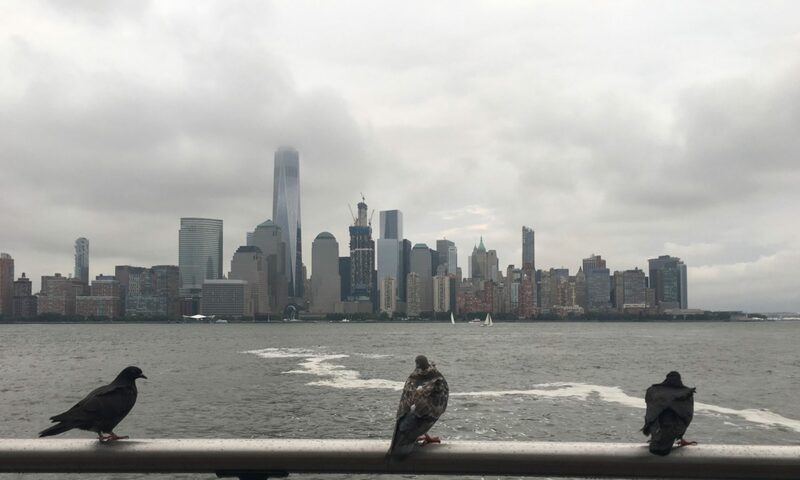 Even as New York rebuilds and reshapes itself – as the facades and storefronts change, as the skyline changes shapes, as people come and go – ultimately, your own mental map and memories are what make the city what it is for you.